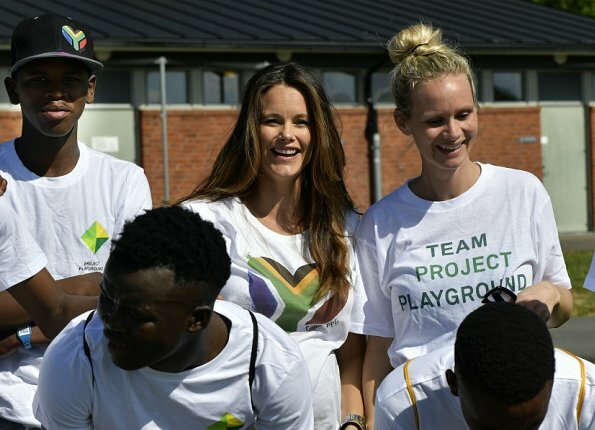 In 2010 ms Frida Vesterberg founded Project Playground in Cape Town, South Africa and was later joined by Sofia Hellqvist. Dear Editor, nothing about fashion here. Careful with the baby-belly, Princess Sofia. Have fun, good luck. Princess Sofia is looking radiant and very much in shape. Lovely of her to spend some time with the teams.